Obituary – Munger, Robert Shoop « Perry High School Alumni Association, Inc.
﻿- was selected by the University of Oklahoma as one of the two outstanding senior boys this year. He was president of the honor society. He is the son of Mr. and Mrs. Thomas O. Munger of 1101 Delaware. He went out for track and wrestling for three years. He was in the boy’s glee club, in the operettas and in the senior play. He delivered papers during his school years. He was born in Perry in 1921 and has lived here ever since. He plans to attend Oklahoma A. and M. College and take up Chemical Engineering. 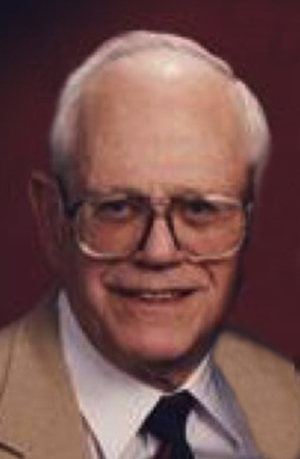 Shoop Munger, 88, passed away Friday, December 25, 2009 at the Grace Care Center in Katy, Texas, of complications from Parkinson’s disease. He leaves his wife of 62 years, Dorothy Wade Munger; two sons, Thomas Wade Munger and wife Paula of Richmond, Virginia, and Robert Grant Munger and wife Cathi of Houston, Texas; one grandson, James Edward Munger and wife Lissa of Seattle, Washington; two great-grandsons; three step grandchildren and seven step great-grandchildren. At the time of his death, Mr. Munger was pleased to know that his first great-granddaughter was on the way. Mr. Munger was born in Perry, Oklahoma on March 17, 1921 and graduated from Perry High school. He was a lieutenant and a field artillery unit commander in the 88th Infantry Division, the “Blue Devils.” He served in North Africa and Italy, and was awarded the Purple Heart. 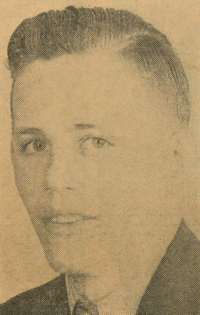 After World War II, Mr. Munger completed his Bachelor of Science and Master of Science degrees at Oklahoma A&M College, where he met Mrs. Munger, also an Army veteran returning to school. Mr. Munger worked as an analytical and research chemist and laboratory manager for Continental Oil Company and other companies. He never changed jobs in his entire career, though the companies he worked for were bought several times. His interests included hunting, fishing, travel (returning to Italy several times), sailing and duplicate bridge. He was a member of the American Chemical Society; the Rod and Gun Club of Lake Charles, Louisiana; the Gulf Coast Conservation Society; the Lake Charles Yacht Club; St. Andrew Presbyterian Church (Lake Charles); the 88th Infantry Division Association and the American Contract Bridge League. In 2003, when Mrs. Munger was diagnosed with Alzheimer’s disease, Mr. Munger vowed to keep her living at home for two years. It is a testament to the strength of his character that he made it five and a half. A memorial service will be held at 2:00 pm on January 16th at the Forest Park funeral chapel in Houston. In lieu of flowers the family requests donations to Houston Hospice.